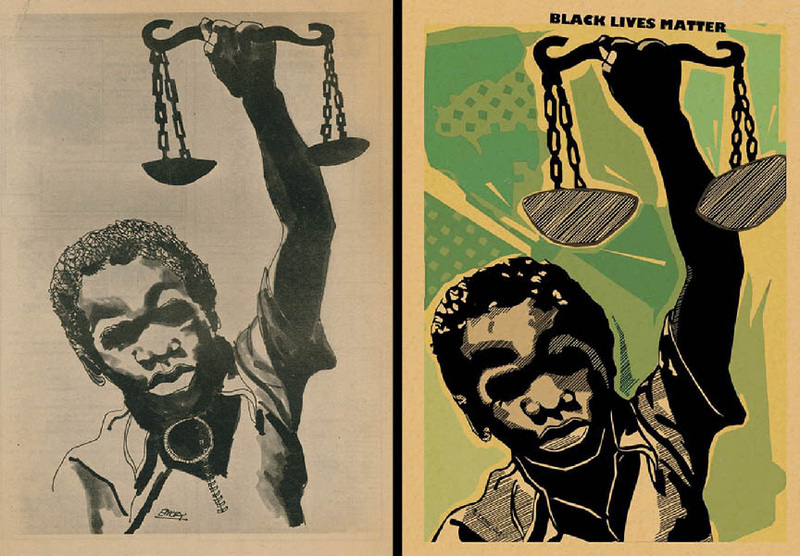 Colette Gaiter will talk about former Black Panther party artist, designer, and illustrator Emory Douglas’s work on The Black Panther newspaper in the 1960s and 70s. His subversive and proactive political cartoons and drawings visualized a movement and galvanized activism that persists into the twenty-first century. Colette Gaiter is an Associate Professor teaching Visual Communication at the University of Delaware. After working in graphic design she became an educator, artist, and writer, exhibiting her work internationally and in galleries, museums, and public institutions in the United States. She wrote the introduction for the second edition of Black Panther: The Revolutionary Art of Emory Douglas, which also contains her essay on his work. Since 2004, she continues to write about Douglas’s work including his current international human rights activism. The 161st meeting of the NY Comics & Picture-story Symposium with Colette Gatier has been rescheduled to Tuesday, October 18th, 2016 at 7pm at Parsons School of Design, The New School, 2 West 13th Street, in the Bark Room (off the lobby).